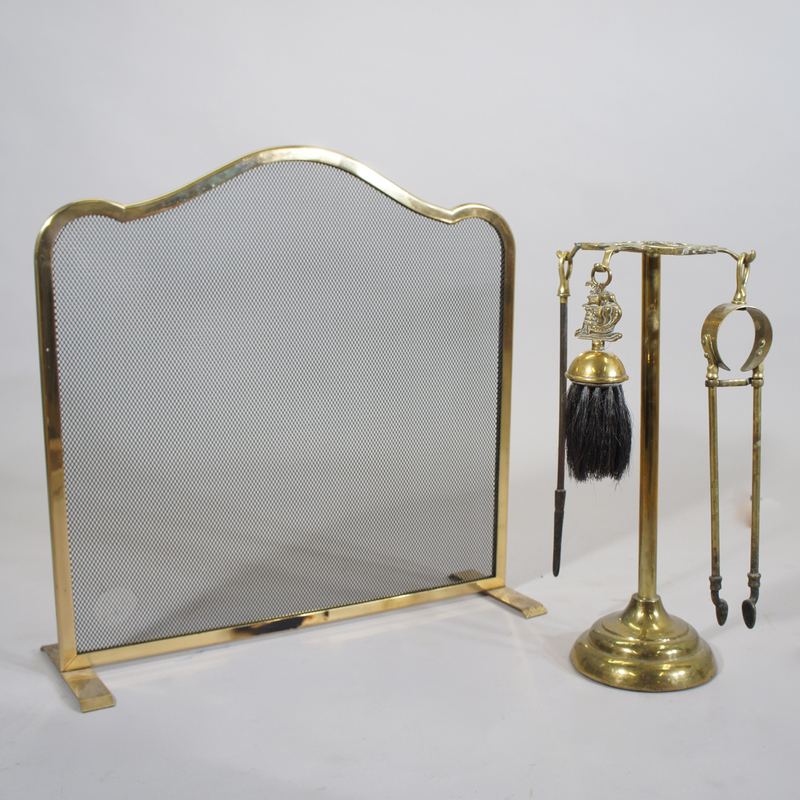 Fireplace tool kit in brass witch screen, brush, poke and snippers. Screen 52×52 cm. Maker unknown.